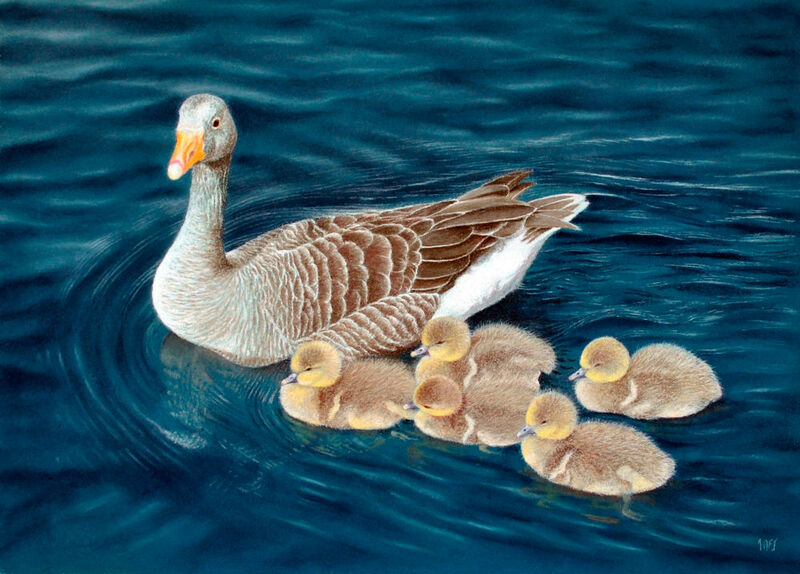 This delightful picture of a greylag goose and her goslings was based on a photo taken by my wife on the Norfolk Broads. I enjoyed doing the water and all the details of the fluffy down on the goslings. A lovely composition….. Completed in soft pastel and pastel pencils on colourfix pastel paper. It is sold in a frame and transported in a specialised packing case by courier to avoid damage. All times are GMT 0. The time now is 3:05 pm.